(RxWiki News) Healthcare-associated infections, also know as nosocomial infections, are all too common. A new study has found one way to reduce such infections in the Intensive Care Unit (ICU). Researchers from the McGill University Health Center (MUHC) and McGill University have demonstrated that private rooms for patients in the ICU not only reduce the risk of HAIs but also present other advantages. The study's findings are published in the journal Archives of Internal Medicine. Healthcare-associated infections (HAIs) occur as a result of treatment for other conditions. The infections can have a significant effect on patient morbidity and mortality. Furthermore, they can drastically increase the cost of treatment. Roughly 1 out of ever 20 patients will contracts a healthcare-associated infections . The annual healthcare costs of HAIs is estimated to be between $5.6 and $6.8 billion. Led by Dana Teltsch, Ph.D. candidate in the Department of Epidemiology, Biostatistics and Occupational Health at McGill, a team of researchers studied the rates of infection in hospital patients as MUHC converted ICUs with multiple beds into single-bed rooms. They found that the change to private rooms reduced HAIs associated with three key bacteria by 50 percent. Staphylococcus aureus (MRSA), C-difficile, and Enterococcus (VRE) are bacterial infections with a high cost to the healthcare system. In fact, C-difficile can cost as much as $7000 per episode. 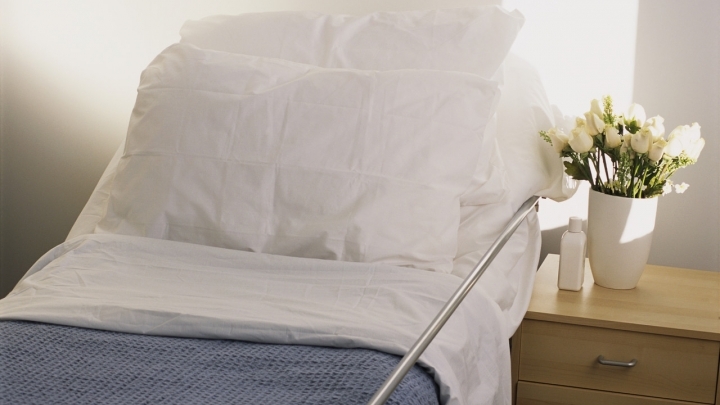 The researchers also found that private rooms reduce a patient's length of stay by 10 percent. According to Telsch, the study's findings offer information with which researchers can compare the costs and benefits of single-patient ICU rooms to that of multi-bed ICUs. Dr. David Buckeridge, Associate Professor in the Department of Epidemiology, Biostatistics and Occupational Health at McGill, a medical scientist in the Department of Medicine at the Research Institute of the MUHC and senior author, says that this study is important because it demonstrates both the medical and cost-related benefits of private rooms in the ICU. Even though the researchers did not assess all the costs and benefits of private rooms, Buckeridge concludes that they are likely to show further benefits.